Backed up by state-of-the-art technology and sincere care for customer needs, Fosjoas self-balancing electric scooter is equipped with four-fold protections to protect every riding. The first is speed limit protection, without which the scooter is just like an unbridled wild horse. To avoid falling over caused by accelerating, Fosjoas sets the rated speed to 12km/h. Once exceeding the rated speed, the front end of the pedal will begin to rise gradually to prevent further speeding. The second is low battery protection. When the battery level decreases to 15%, all the four LED lights will blink and the buzzer will beep while the front edge of each pedal will rise slowly to force the rider to slow down till stop. Next is tilting protection. When the tilting angle of the vehicle is over 45 degrees, the motor will stop immediately to prevent injuries. Last is safety protection. When the power level falls lower than 15%, all four LED lights will blink and the buzzer will beep. When the tilting protection is activated, the buzzer will launch long beeps and the LED indicator on the power button will flash continuously. The four-fold protections lay a solid foundation for rider’s safety when riding. Meanwhile, it is equally important to learn about the safety precautions before riding the scooter. First, protective gear such as helmet needs to be worn to safeguard rider’s security especially for the green hands. Second, do not choose the wet and slippery road to learn riding Fosjoas electric scooter because riders cannot easily control the movement of the scooter. Therefore, there are potential dangers of falling over. Third, green hands should choose the safe road conditions for example the places with few people and large space. They should not choose the busy roads in case of car accidents. 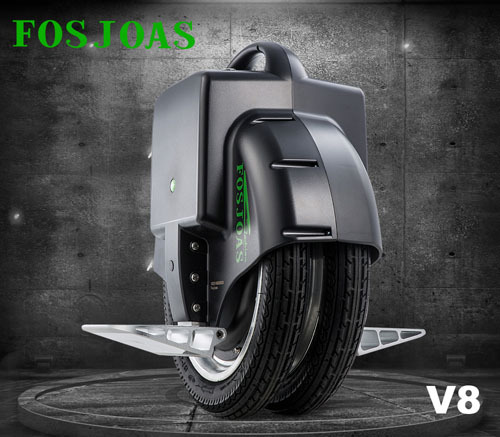 In sum, riding Fosjoas electric unicycle is safe due to the built-in protection mechanisms and rider’s precautions. Next：Intelligent Self-balancing Scooter U3 Is The Ultimate Model Of FOSJOAS.